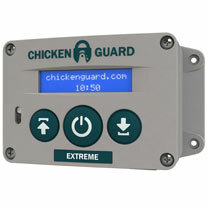 ChickenGuard Extreme 4kg - Opens and closes using the timer and/or light (LUX) sensor. Configurable fail-safe timer for light (LUX) sensor – closes the door at the set time even if it is still light. Easily adjustable light (LUX) sensitivity when using the light sensor. Manually open & close the with a simple press of the button. Fully featured LCD display for ease of use. Powered by 4 x AA batteries (included) or electric powered via USB (cables not included). Door closed indicator visible up to 100 metres away. Low battery warning. Full 3-year warranty. All in one design. Long battery life. No complicated wiring or cabling. Low maintenance. No minimum or maximum door heights. 4kg/8lb door lifting capability. Chickenguard Premier 1kg - Opens and closes using the timer and/or light (LUX) sensor. Configurable fail-safe timer for light (LUX) sensor – closes the door at the set time even if it is still light. Easily adjustable light (LUX) sensitivity when using the light sensor. 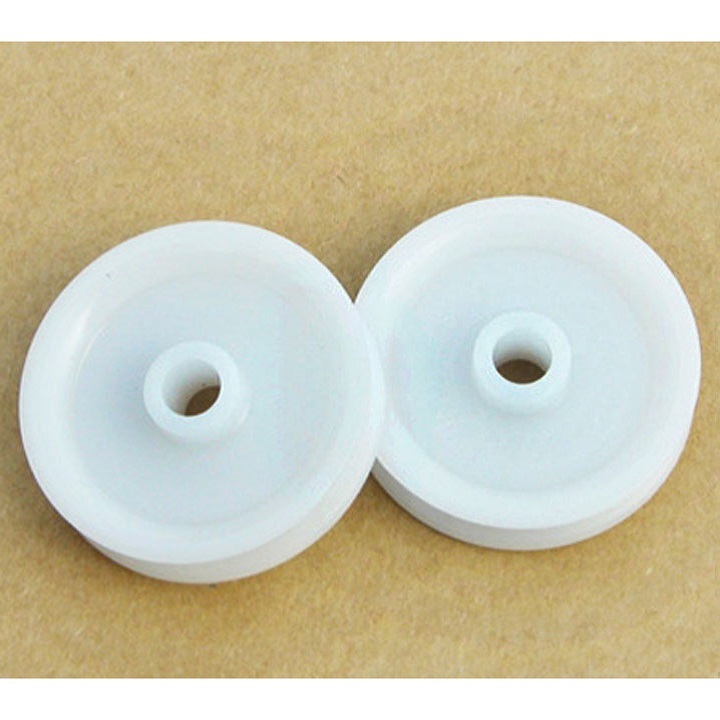 Manually open & close the with a simple press of the button. Fully featured LCD display for ease of use. Powered by 4 x AA batteries (included) or electric powered via USB (not included). Door closed indicator visible up to 100 metres away. Low battery warning. Full 3-year warranty. All in one design. Long battery life. No complicated wiring or cabling. Low maintenance. No minimum or maximum door heights. 1kg/2.2lb door lifting capability. Chickenguard Standard 1kg - Opens and closes using the timer. Manually open & close the with a simple press of the button. Fully featured LCD display for ease of use. Powered by 4 x AA batteries (included) or electric powered via USB (not included). Door closed indicator visible up to 100 metres away. Low battery warning. Full 3-year warranty. All in one design. Long battery life. No complicated wiring or cabling. Low maintenance. No minimum or maximum door heights. 1kg/2.2lb door lifting capability. 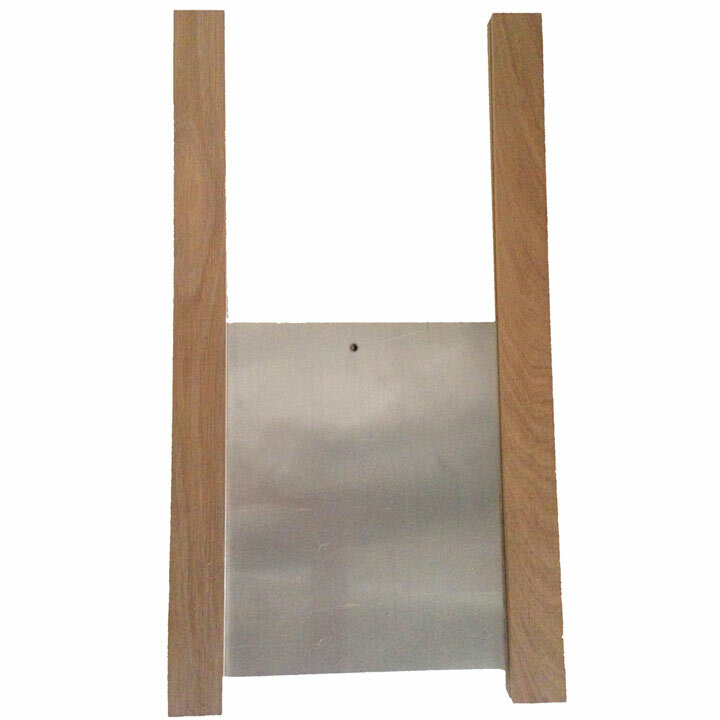 Door Kit - Aluminium Door Size: 30cm x 40cm (12" x 16"). 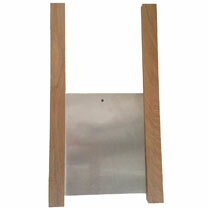 With a pre-drilled hole for attaching the ChickenGuard string Oak Runner length: 60cm (24"). 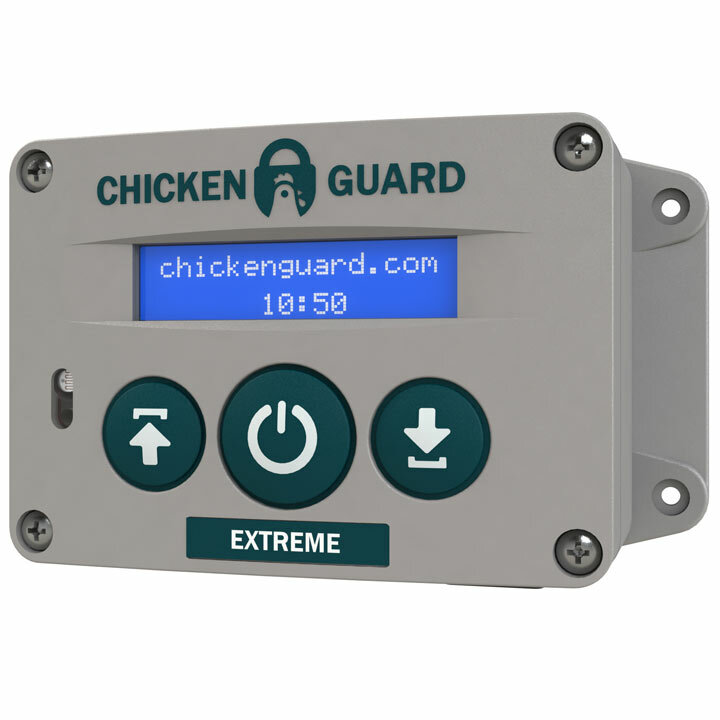 Designed to significantly reduce the snagging that can occur when trying to open a coop door. Pulley Pack - A great solution for those that need to place their ChickenGuard somewhere other than just above the door. Comes in a pack of two.